This month will mark the 150th anniversary of the assassination of Abraham Lincoln. This milestone will be accompanied by MANY events, exhibits, and talks. I, for one, plan to be very busy during the next few weeks. Below is just a sampling of some of the more notable Lincoln assassination events that are planned for this historic month. Take a look at the events below and be sure to visit the Calendar section of this site for a full list of events. 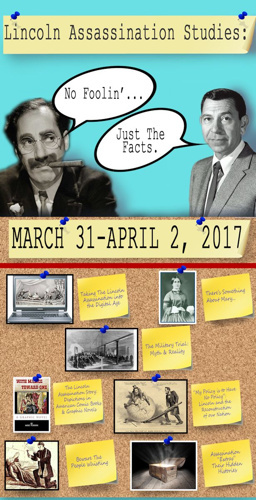 In addition to their, “Undying Words” exhibit, the ALPLM in Springfield will debut a new exhibit on the assassination featuring items never before seen by the general public. The exhibit runs until mid-July. For more information, click here. Author Terry Alford will give talk on his book, Fortune’s Fool: The Life of John Wilkes Booth, at the National Archives in Washington, D.C.
As part of the Archives’ “Noon Book Lectures” series, Dr. Alford will discuss his biography of the assassin. For more information and to make your free reservation for the event, click here. While I don’t always agree with Tom Mudd regarding his descendant’s innocence, it is always a treat to hear him talk about his famous ancestor. For more information, click here. 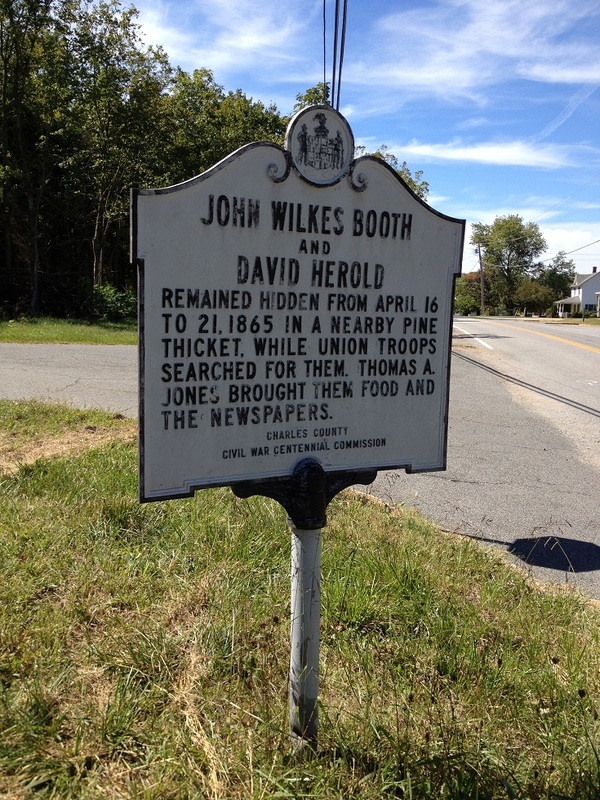 I’m honored to be speaking at the home of the Booths about the siblings Edwin and John Wilkes. If you attend, please come up and say hi after. 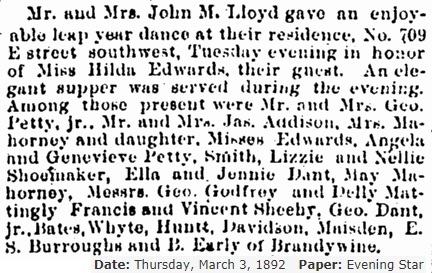 For more information, click the image above. James Swanson, author of the book, Manhunt: The Twelve Day Chase for Lincoln’s Killer, will speak at the Newseum in Washington, D.C.
James Swanson will discuss his own interest and study of Lincoln’s assassination. For more information, click here. “Lincoln’s Legacy: An Evening with Doris Kearns Goodwin” at The Henry Ford in Dearborn, Michigan. Doris Kearns Goodwin, author of Team of Rivals, will discuss Lincoln’s enduring legacy. In addition, the chair Lincoln was sitting in when he was assassinated, will be put on special display for this event and the following day. For more information, click here. “Lincoln’s Last Days” debuts on the Smithsonian Channel. At 8 pm EST, Smithsonian Channel will debut its newest documentary about the death of Lincoln. For more information and additional showtimes, click here. While they are many talks planned in Indiana on April 14th (check out the Calendar page for a full listing), if you are in the Midwest, I highly recommend you attend this one by Scott Schroeder. This is the first of three lectures Scott will give on the subject of Lincoln’s assassination which shows his deep familiarity and knowledge on the subject. For more information, click here. The NMHM is planning an open house and several commemorative events for April 14th and 15th. For more information, click here. Now He Belongs to the Ages: A Lincoln Commemoration is a one time performance taking place inside Ford’s Theatre at 9 pm on April 14th. This event will also be streamed live at the Smithsonian’s National Portrait Gallery and online. A series of three, Behind the Scenes Tour with Brian Anderson are planned over April 14th and 15th. Mr. Anderson is the author of the book, Images of America: Ford’s Theatre. In addition to the many wonderful exhibits the ALPLM in putting on in recognition of the Lincoln 150th, they will be presenting an evening’s vigil for the President. For more information, click here. 7:22 am Wreath Laying Ceremony at the Petersen House in Washington, D.C.
Each year, the National Park Service honors Lincoln’s memory by laying a wreath at the Petersen House, when Lincoln died. This year’s ceremony will be accompanied by the church bells of Washington ringing out in memory of our fallen leader. Author Harold Holzer will give talk on his book, President Lincoln Assassinated!! : The Firsthand Story of the Murder, Manhunt, Trial, and Mourning, at the National Archives in Washington, D.C.
As part of the Archives’ “Noon Book Lectures” series, Harold Holzer will discuss his book. For more information and to make your free reservation for the event, click here. Residents of the United Kingdom aren’t being left out of all the Lincoln assassination events. Michael Kauffman, author of American Brutus: John Wilkes Booth and the Lincoln Conspiracies, will be giving two speeches at the ACWRT’s Conference in Ascot, Berkshire, England. For more information on this three day conference, click here. For more information about the Charles County Lincoln 150, click here. Geoff Elliot runs the Abraham Lincoln Blog and has a large following on Twittter as @Mr_Lincoln. For more information on his speech, click here. Couldn’t attend Scott Schroeder’s speech on the 14th? 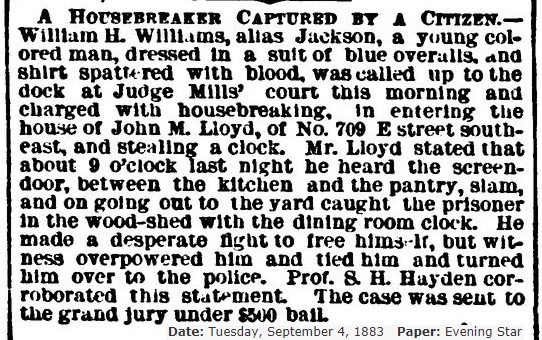 Here’s your second chance when he speaks at the home of the Lew Wallace, a member of the military commission that tried the Lincoln conspirators. For more information, click here. 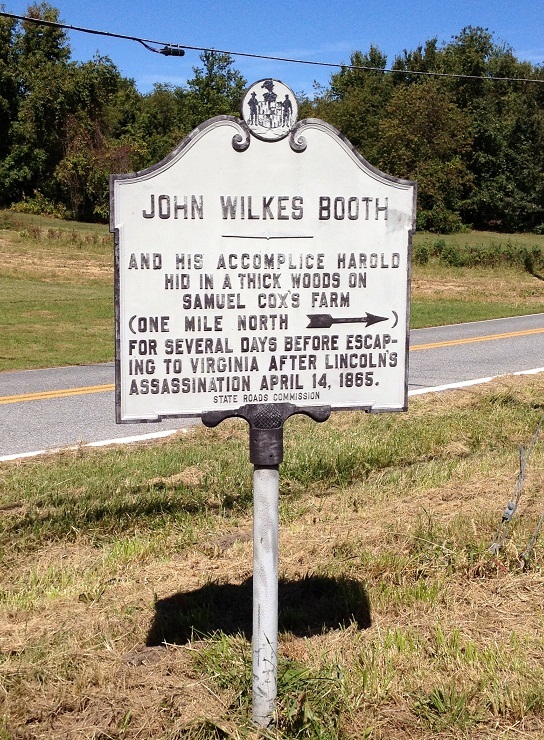 Caroline County, Virginia will commemorate the death of John Wilkes Booth with a weekend long event including a bus tour of Booth’s route through Virginia, a speech by author Terry Alford, and a lunch with Mr. and Mrs Lincoln. For more information about the three day event, including how to register, click here. Richard Sloan will present a walking tour of some of the sites Lincoln’s hearse passed in NYC. Reserve your space by contacting the Lincoln Group of New York. Learn about the manhunt and death of Booth by a leading expert on his capture, Steve Miller. For more information, click here. Jim Garrett will provide a wonderful history of Tudor Hall, the home of the illustrious Booth family, and the black sheep of the family, John Wilkes Booth. For more information, click here. 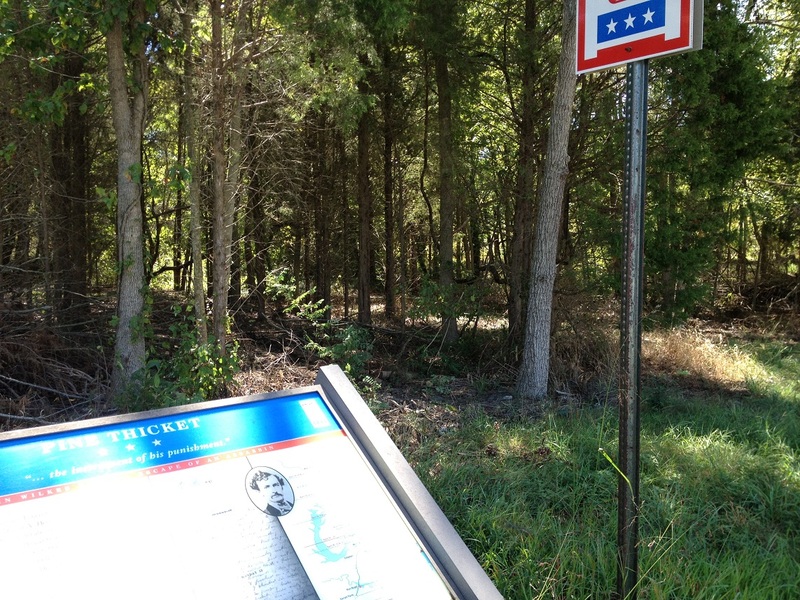 The historic highway marker located at the site of the Garrett farmhouse where John Wilkes Booth died was stolen a few months back. 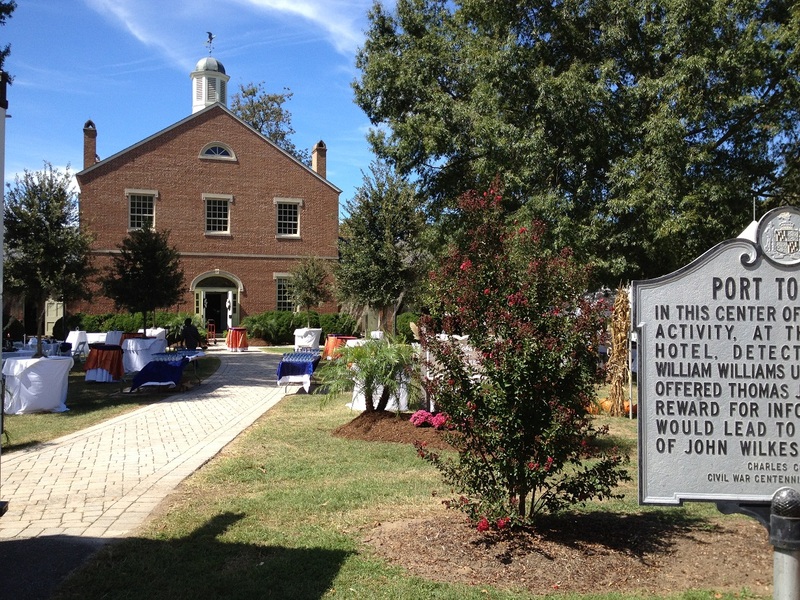 The Surratt Society raised funds to create a new sign with updated text. Join us on April 26th at 2:00pm at the Port Royal Museum of American History in Port Royal, Virginia, for the unveiling of the new sign. Silent Witnesses: Artifacts of the Lincoln Assassination at Ford’s Theatre in Washington, D.C.
“Tuesday morning, after my visit to the pine thicket, I rode up to Port Tobacco. Tuesday was then, as it is now, the day for the transaction of public business in our county. I was therefore likely to meet a good many people in the county-town that day, and bear whatever was going on. I found the men gathered about in little groups on the square, as men in villages will al ways be found when anything of more than usual interest is engaging public attention. Upon this occasion, of course, they were discussing the assassination, and the probable whereabouts of the assassin. The general impression seemed to be that Booth had not crossed the river. I mingled with the people and listened till I was satisfied that nothing was positively known. Every expression was merely surmise. In Mr. George Alfred Townsend’s article, ‘How Wilkes Booth Crossed the Potomac’ published in the Century magazine of April, 1884, the author comments upon this offer made in my presence and partly to me, in the following terms: ‘When we consider that the end of the war had come and all the Confederate hopes were blasted and every man’s slave set free, we may reflect upon the fidelity of this poor man whose land was not his own and with inevitable poverty before him perhaps for the rest of bit days,’ etc. It appears from this that Mr. Townsend thinks I deserve some need of praise for not being bribed to betray what I considered a sacred trust. But it seems to me that, had I, for money, betrayed the man whose hand I had taken, whose confidence I had won, and to whom I had promised succor, I would have been, of all traitors, the most abject and despicable. Money won by such vile means would have been accursed and the pale face of the man whose life I had sold, would have haunted me to my grave. True, the hopes of the Confederacy were like autumn leaves when the blast has swept by. True, the little I had accumulated through twenty years of unremitting toil was irrevocably lost. But, thank God, there was something I still possessed — something I still could call my own, and its name was Honor. Port Tobacco weaves in and out of the assassination story. 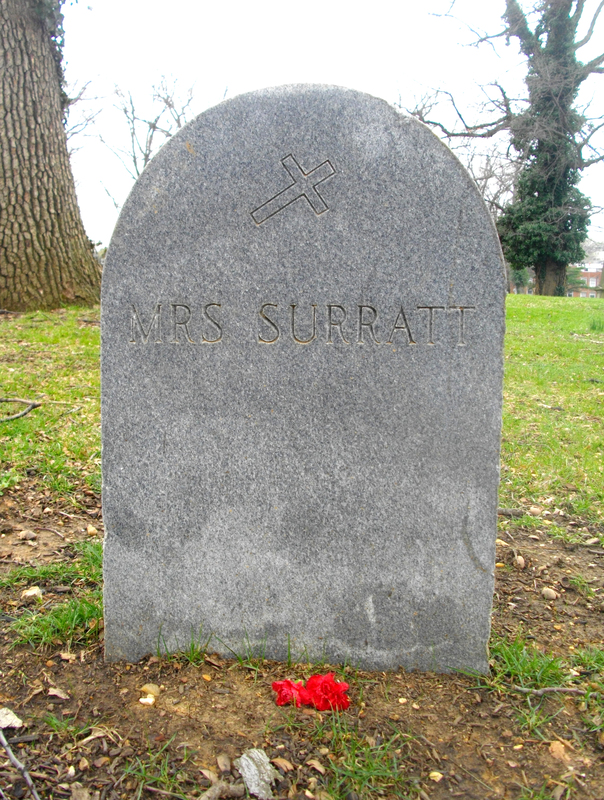 In the days of the kidnapping plot, John Surratt and Thomas Harbin convinced Port Tobacco-ite Richard Smoot to sell them a boat with which to ferry the abducted President across the Potomac river. Conspirator George Atzerodt lived, worked, and “married” in Port Tobacco before joining Booth in his plot. 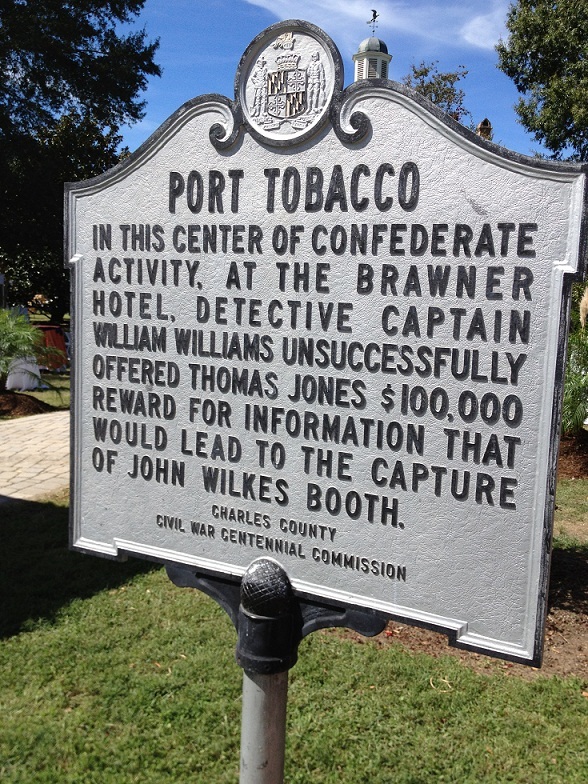 As seen above, Thomas Jones, while hiding Booth and Herold in the pine thicket after the assassination, could have made a fortune in Port Tobacco had he betrayed the pair. Conspiracy was ripe in Port Tobacco. Now, Chimney House is more than just a period building in historic Port Tobacco, Maryland. It also connects to George Atzerodt who made his home and business in Port Tobacco. 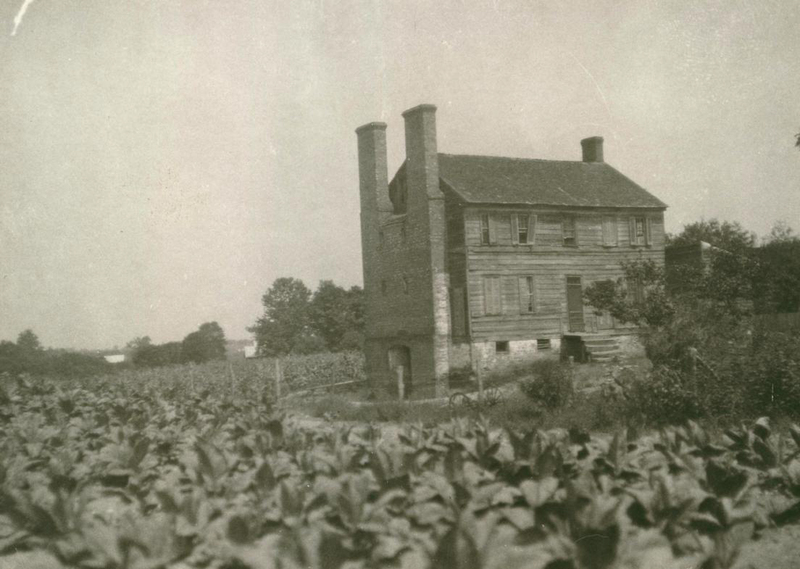 In 1857, George Atzerodt and his brother John moved to Port Tobacco and began operating a carriage shop in town. When the war came, the brothers closed down the business as John found a job working for the Maryland Provost Marshal as a detective. 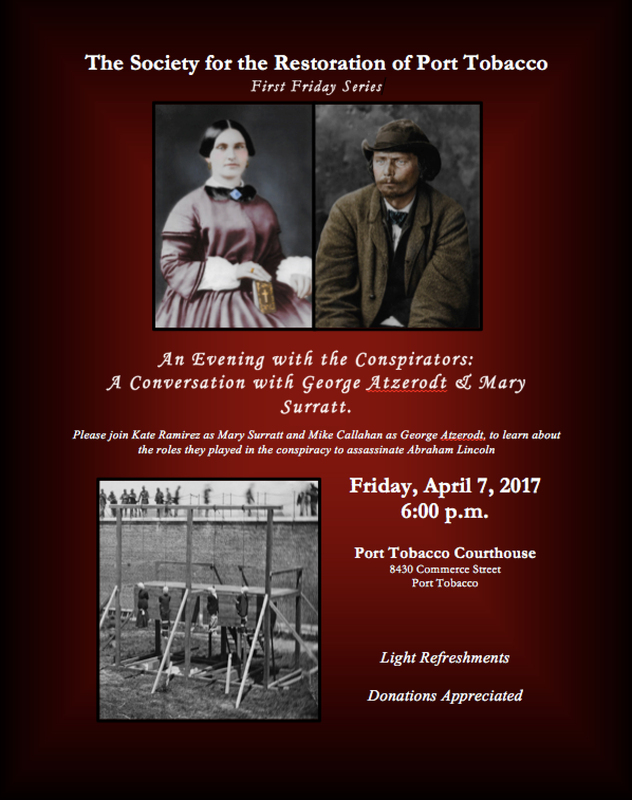 Living in Port Tobacco, George found himself in the company of a twice widowed woman by the name of Elizabeth Adams Boswell. She is better known to assassination historians as Rose Wheeler, an amalgamation of her former husbands’ last names (Charles Wheeler and Henry Rose). George had one child by Mrs. Wheeler, a girl named Edith. George and Rose lived together as common law man and wife until George was pulled into Booth’s conspiracy. Mrs. Wheeler even visited George at the Arsenal Penitentiary before he was executed for his involvement in the tragedy at Washington. So where does Chimney House play a role? 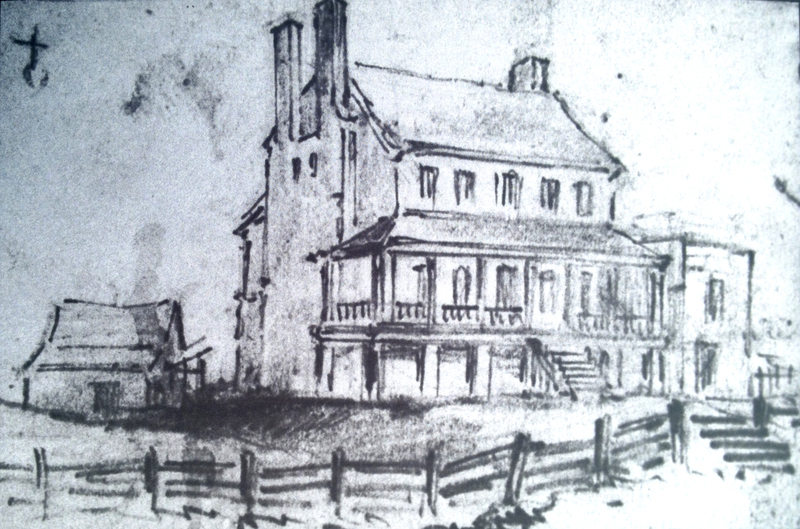 Well, at one point columnist and author George Alfred Townsend, better known by his nom de plume: GATH, visited and sketched Chimney House in Port Tobacco. In his sketch of the house, GATH included a small outbuilding near the Chimney House which he attributed to be the Atzerodts’ carriage shop. With very few others of his day taking an interest in George’s life prior to his non attempt on Andrew Johnson, GATH’s drawing has been taken as correct. With Chimney House lasting the tests of time, people could point to the area behind the house as the location of George’s former shop. However, between 2007 and 2010 Port Tobacco underwent a major archaeological project funded in part by a $60,000 Preserve America grant from the NPS. Though no longer updated, the website for the Port Tobacco Archaeological Project has some tremendous information regarding the wonderful work that was done there. One area that the project leaders wanted to work on was to attempt to find the Atzerodts’ carriage shop. 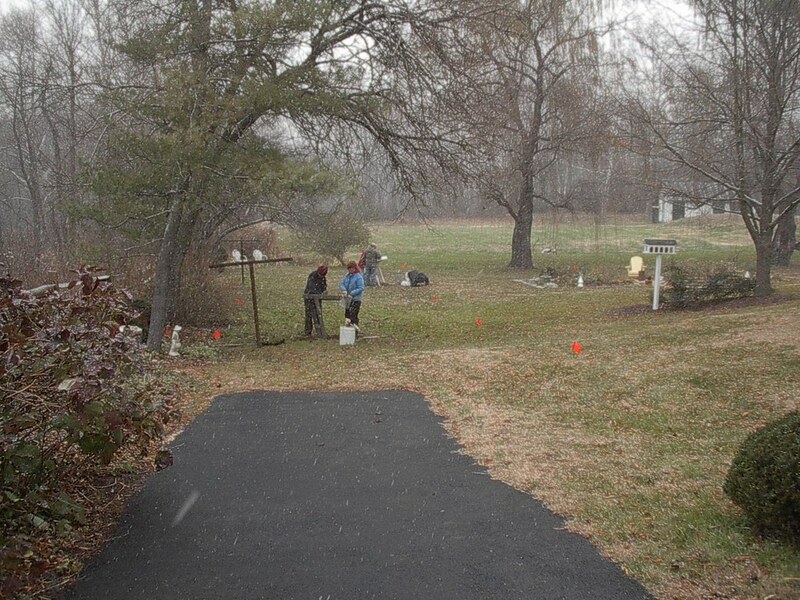 On a cold December day in 2007, the team made a few shovel test pits (STPs) behind Chimney House looking for evidence of the former carriage shop structure. You can read more about his hypothesis here, here, and on page 38 of this. Here’s an aerial shot showing the area. 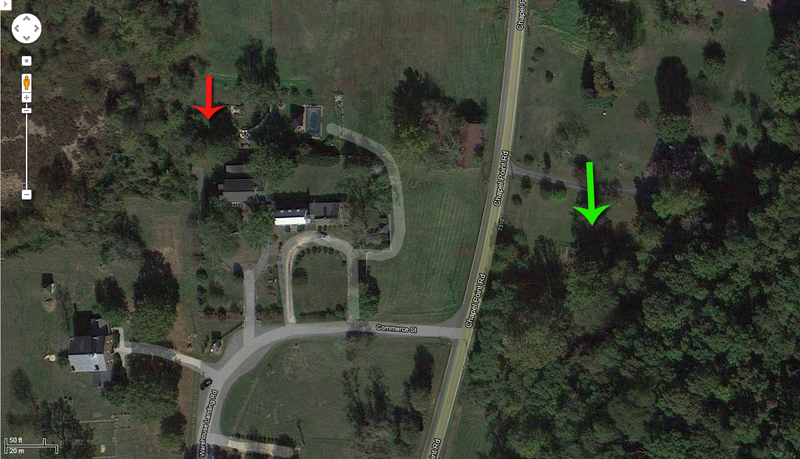 The red arrow marks the land behind Chimney House where the team found no evidence of any shops whatsoever. The green arrow points out the general area where the team leader now suspects George Atzerodt’s shop actually was. However, even if George’s shop was not behind Chimney House, it is my belief that Rose Wheeler, her daughters including Edith, and maybe even George himself, slept in Chimney House. Mrs. Wheeler’s maiden name was Boswell. Her brother, William Boswell, purchased Chimney House in 1859 and it didn’t leave the family until 1904 when it was sold by his daughter. In the 1870 and 1880 census, one of Mrs. Wheeler’s daughters from her first marriage is living with William Boswell in Chimney House. To me, it seems reasonable that William Boswell would invite his twice widowed sister and her children to live with him in Chimney House, at least for a while. Whether he would allow George Atzerodt into his home would be a different matter. 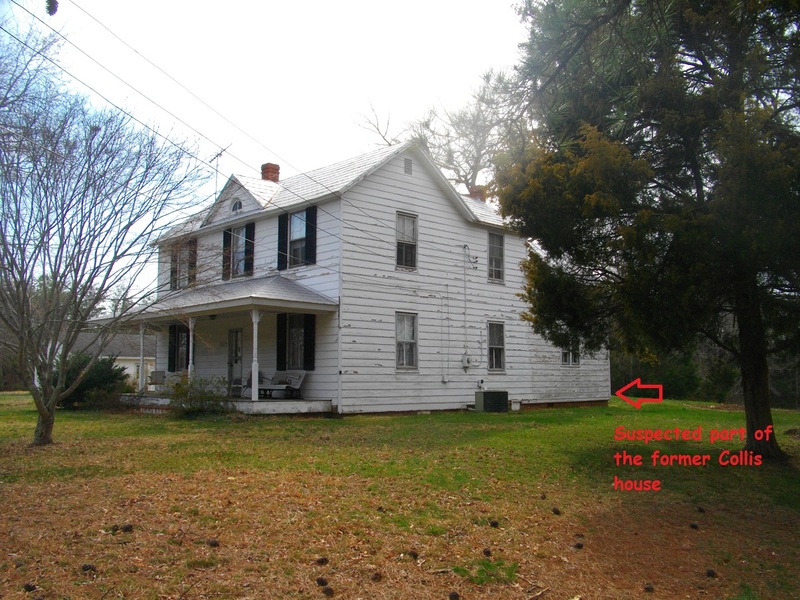 Chimney House is a truly beautiful piece of history in Port Tobacco, and yet another interesting sidebar in the Lincoln assassination story. While this post doesn’t contain much in the way of new material or research, I hope the following pictures of assassination related places and things are, nevertheless, enjoyable and informative. 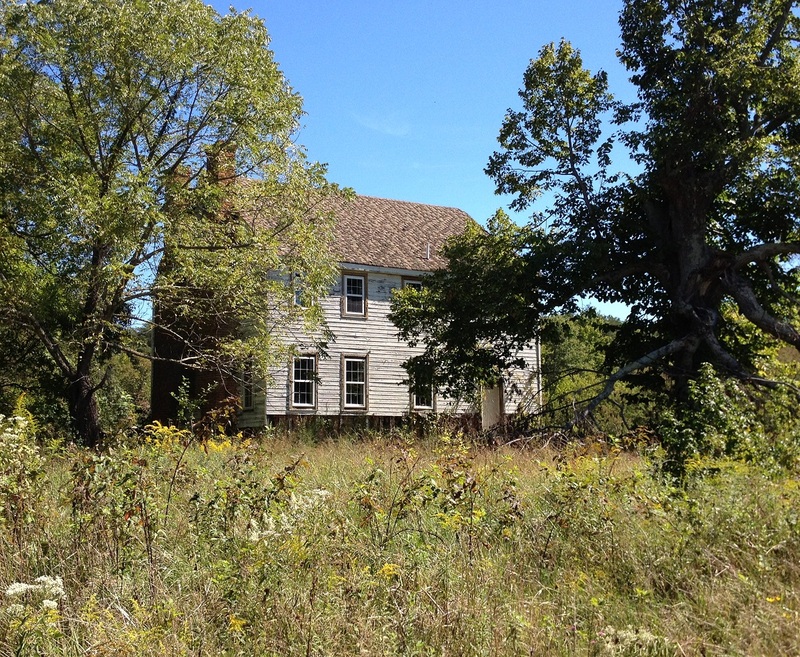 As you can see, Rich Hill is in delapidated condition. 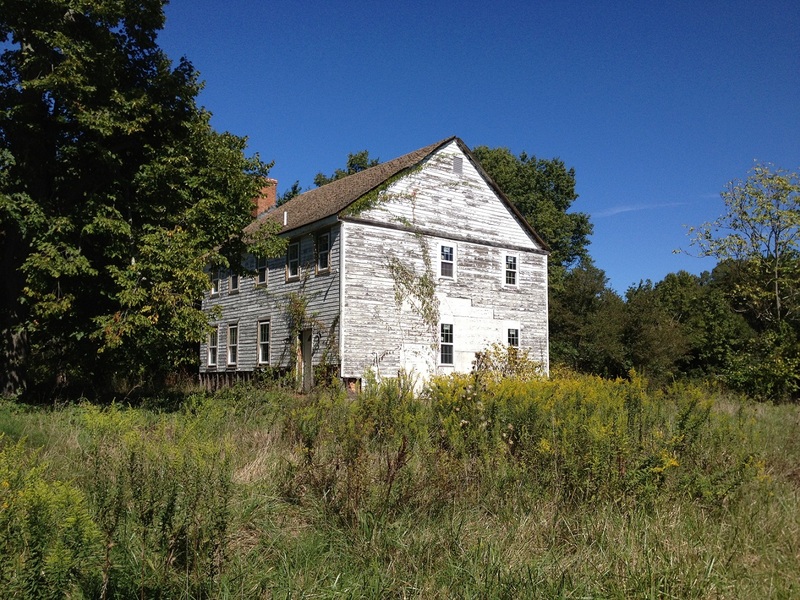 Neglect is taking a toll on this historic house. So at this point I’m not sure where the real Collis house might be. Either way a small part of the pine thicket still exists, right across from the Bel Alton post office. From Port Tobacco I took a non-Boothie stop to the Thomas Stone National Historic Site. 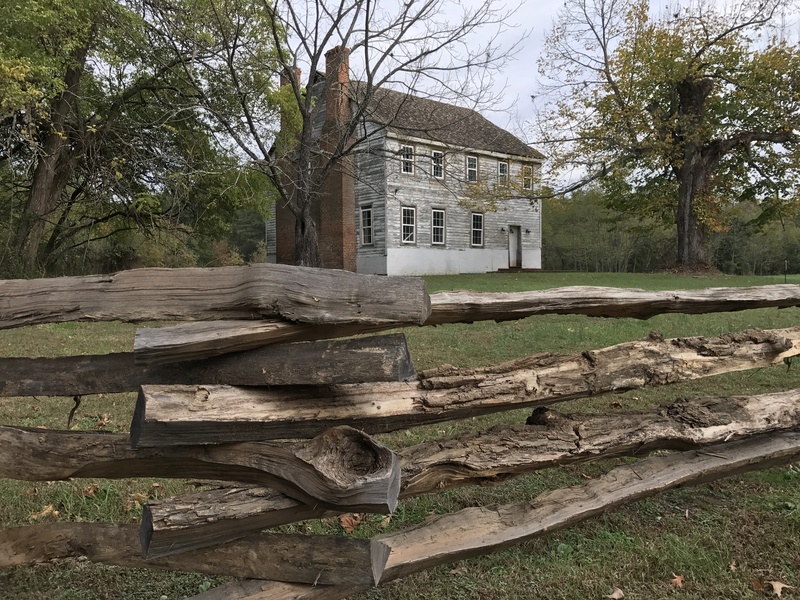 Thomas Stone was a Maryland signer of the Declaration of Independence and his home, Habre-De-Venture, is a National Park. The property is quite beautiful and it was a wonderful day to go walking around their nature trail. China cabinet owned by Samuel Cox, Jr. 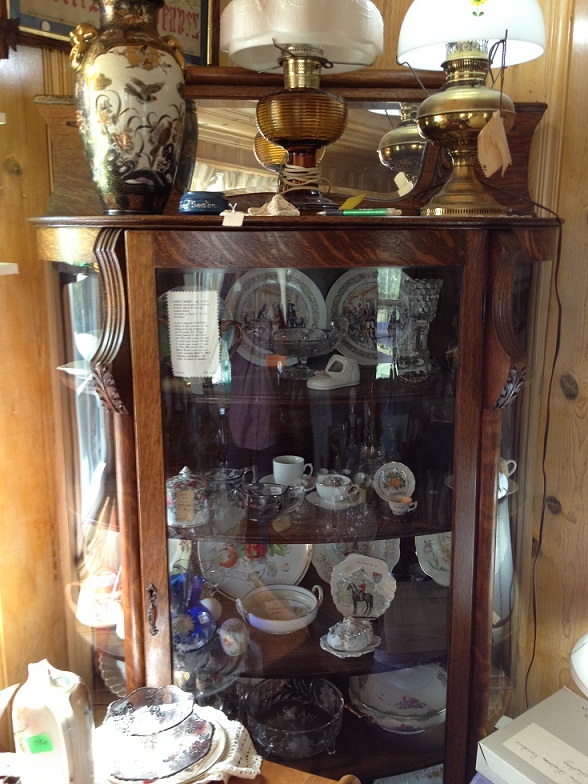 This large, oak, china cabinet with curved glass is circa 1895 and is from Baltimore or D.C. The piece was shipped to Bel Alton on the Baltimore and Potomac Rail Road. The back of the piece is stenciled “S. Cox Bel Alton” to assure correct delivery off of the train. The Wearmouths bought it from an antique dealer who had acquired it from a lady who lived a few doors down from Rich Hill. After all this I was pretty tired, so my impromptu trip around Charles County, Maryland came to an end. P.S. Apparently while I was off driving around, you all were visiting my blog. Today was a record day with over 310 visitors! Thanks! 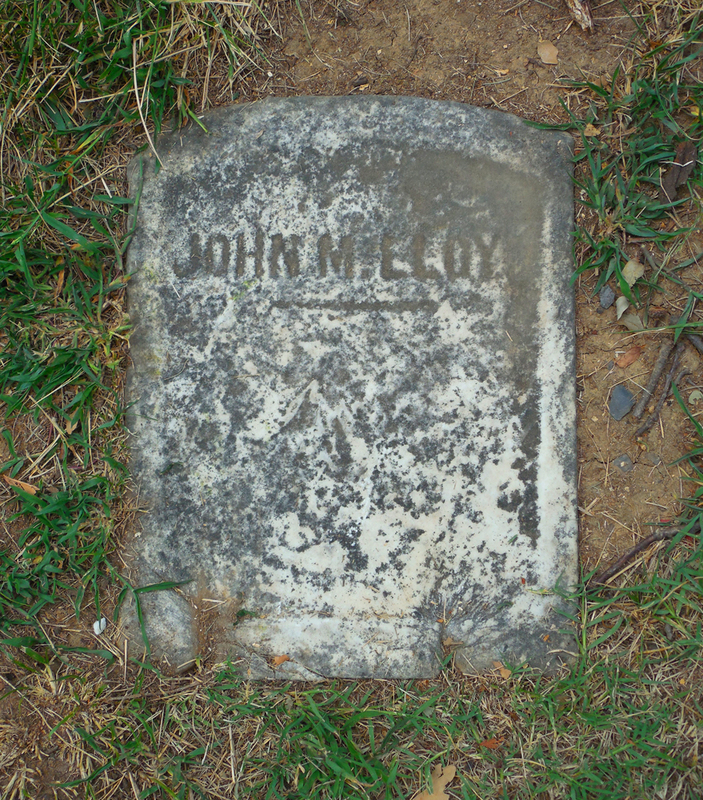 The outlying location of this grave is a wonderful metaphor for this man’s outlying connection to the assassination story. Edward John Collis was born at Wollaston Hall in Worcestershire, England on March 28, 1843. His father was a deputy Lord Lieutenant in Worcestershire. On July 9th, 1867, Edward married Elizabeth Louis Swann in England. An educated man, Mr. Collis worked in mines as an engineer. He and his wife came to America in 1887 for pleasure and health. Working in the mines caused Mr. Collis to contract rheumatic fever. Finding the American climate and way of life to his liking, Mr. Collis and his wife bought property and settled in Bel Alton, Maryland in 1890. Though being a newcomer to the area, Mr. Collis engrained himself in local functions and positions in Charles county. 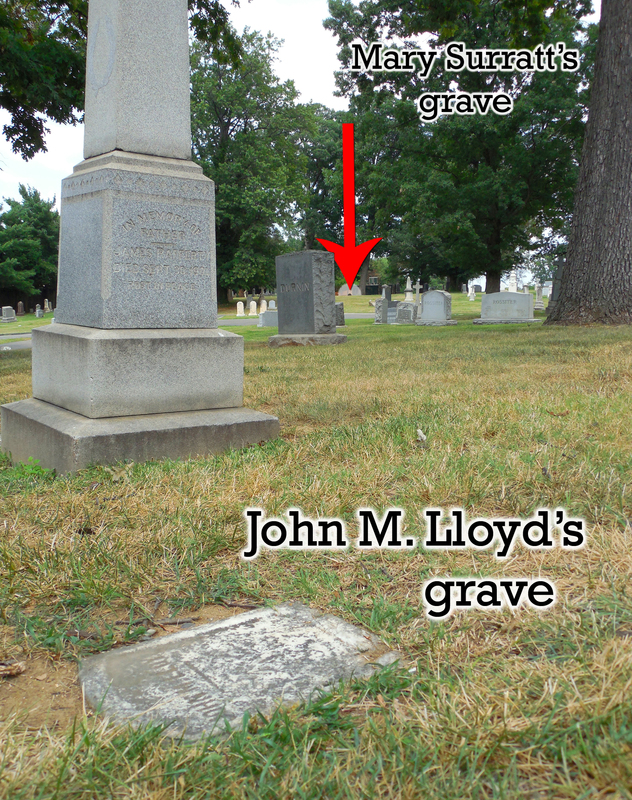 The Englishman who took well to the Southern Maryland way of life passed away in 1895, five short years after moving in. His cause of death was reported in the papers to have been from epilepsy and nephritis (inflammation of the kidneys). 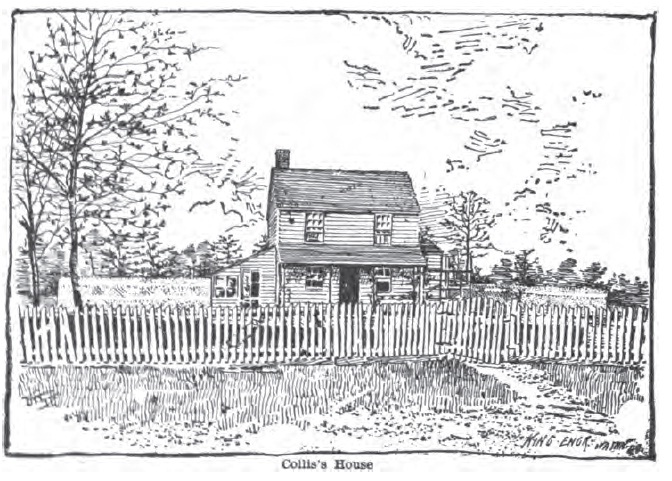 A drawing of the Collis house taken from Thomas Jone’s book. In 1865, everyone referred to the land where the pair hid as Captain Michael Stone Robertson’s land, even though the good captain had been killed in 1862 at the Battle of Harrisonburg. 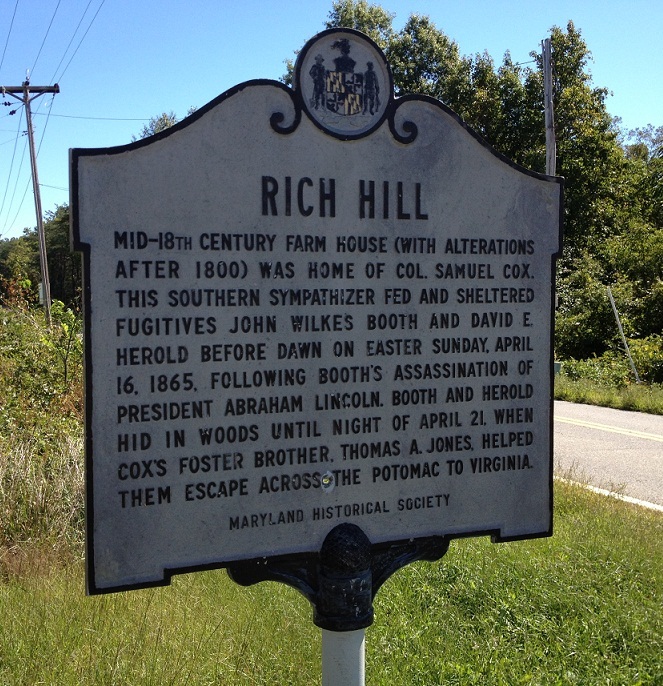 Regardless, after the pair arrived at Colonel Samuel Cox’s home, Rich Hill, Cox had his overseer hide the men in the pine thicket to avoid detection. He then sent his son, Samuel Cox, Jr. to fetch Thomas Jones. Jones agreed to help the pair and, over the next several days, he brought them food, water, and supplies. When the soldiers cleared the area, Jones put them on a boat across the Potomac. Before any of that occurred, however, Jones met Booth and Herold right where Edward Collis’ house stood. 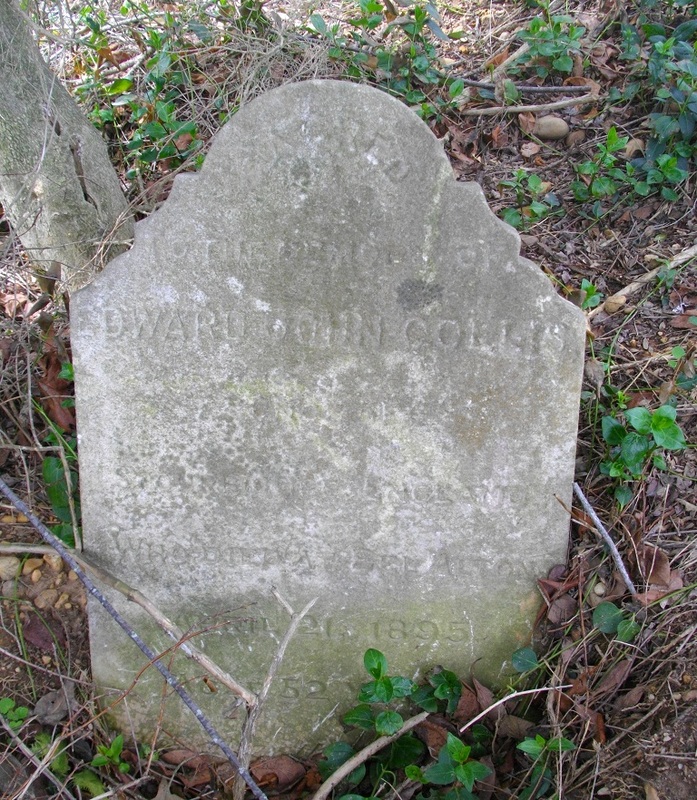 While Edward John Collis only has a passing connection with the history of the assassination, he is still worthy of a mention. When Collis died in 1895, one of his pallbearers was Samuel Cox, Jr. 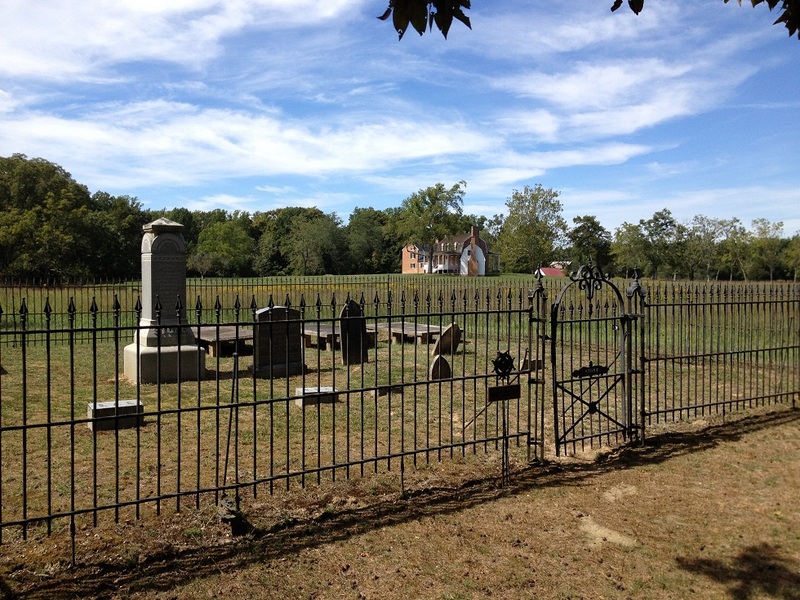 This means that Samuel Cox, Jr. not only helped direct Thomas Jones to the spot where he found the conspirators, but he also laid to rest a man who made his home there. The wonderful Mr. Joe Gleason who showed me this grave and house.